The last decade has seen an upsurge in instant coffee use. However, it is the rising popularity of coffee pods that has hit the world by storm. According to a MarketWatch report in November 2013, there has been a three-fold increment in single-serve coffee sales since 2011. In America alone, 13% of residents enjoyed caffeine prepared with a single-cup coffee machine each day in 2014. A prediction by Mintel, a market research firm in the US, shows that the gap between coffee pods budget by consumers and that of bulk coffee is narrowing, and likely to match by the year 2018. Looking at the statistics, it is clear that coffee pods are revolutionizing the coffee drinking experience around the world. This trend is hardly possible without a capable brewing device, and to match the upward trend of such capsules are the coffee pod machines. The pioneer in single-serve coffee machines is Keurig of Green Mountain, simply referred to as K-Cup machines. Since its invention in the 1990s by John Sylvan, more brands have hit the market. Today, one in every three American households owns a one-cup coffee pod machine. Surprisingly, a device originally targeted for office use has found its way not only in homes but also restaurants. Even customers are asking for the ever convenient fresh brew of a K-cup in coffee houses. No wonder, these machines are cropping up in almost every building in not only the US but also other parts of the world, such as Europe. In 2013, pod coffee machine sales surpassed their drip counterparts in Western Europe. So, what is the hype about coffee pods? This is one question in the mind of anyone bowled over by the growing popularity of coffee pods. Generally, today’s world is fast-paced, and everyone wants things to happen at a lightning speed. This doesn’t mean one has to compromise quality, though; today’s customer is keen about everything! So, what does a coffee pod machine has to offer? With a Keurig K-Cup, all you need is to press a button and within thirty seconds you will be enjoying an equally good cup of coffee. 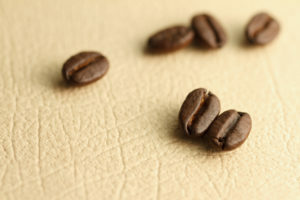 The brewing process involves opening up of a tiny coffee capsule by a jet of water under high pressure, and the mixture passes through a filter into your cup. The output is basically a cup at a time. Imagine a situation where you are assured of a fresh cup of high quality with every cycle that takes only 30 seconds of your time. With such a machine, you don’t need to measure and mix spices to get your desired taste since the equipment has the right balance and amount. Additionally, each cup is brewed from a single capsule individually packaged to ensure freshness. Though this depends on the coffee pods, you can be certain of consistency in the quality of the brand you choose. In any case, each capsule is packed separately. Unlike bulk coffee packages, the Arabica coffee is wrapped up into a capsule-like pod made of a light- and airproof material thus making sure the content doesn’t degrade in quality during storage. If you consider its face value, single-serve caffeine is expensive. For instance, a cup by Nespresso goes for 65 cents, this means a pound of the same costs USD 59. However, some customers feel this is way cheaper compared to a trip to Starbucks every time they want to enjoy a good cup of coffee. The future is bright for coffee pods. This lies in their ability to answer the need for good quality coffee that is convenient and quick to brew, especially at the comfort of your home or office. Besides, leading brands are promising of new improvements to make the K-Cups completely biodegradable by 2020. This is in response to concerns that these revolutionary pods are a threat to the environment since they are non-recyclable. Rudy Caretti has more than 15 years of experience in the coffee industry, a passion that started in Italy within the family business and brought him to found Gimoka Coffee UK with a group of friends, who share the same passion. Since he roasted his first batch of coffee seeds as a teenager, he was fascinated by the many ways it can be processed to get the many different distinctive flavors we all love. Continuing my search for what’s new and exciting in the coffee industry, I came across Lorenzo Agostinelli, who works with Gimoka Coffee UK. He came up with an informative and entertaining look at coffee, from A to Z. Please enjoy the following infographic, while learning the ABC’s of coffee history. Infographic below Courtesy of Gimoka Coffee UK, London, UK.